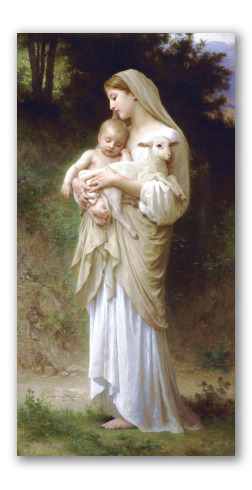 "The Innocence" by W. A. Bouguereau, Oil-on-canvas painting. Oil-on-canvas entitled "The Innocence". Painted in 1893 William-Adolphe Bouguereau. 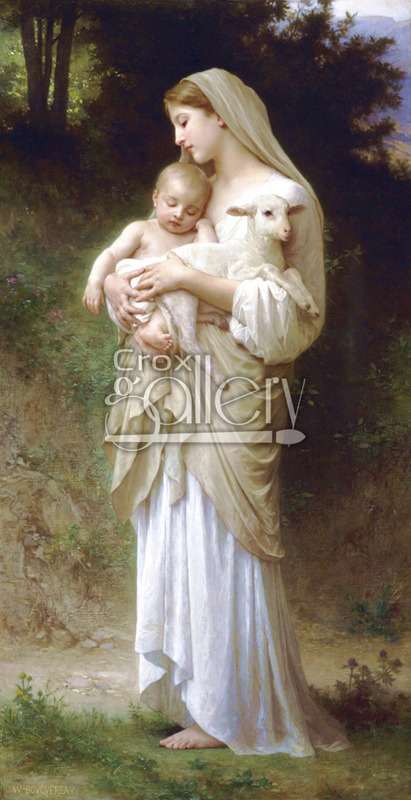 It depicts three figures that symbolize innocence in Western culture: The Lamb, the Virgin, and the Child.